Trudeau should step aside pending the R.C.M.P. conducting a full criminal investigation on him and his office. Isn't he innocent until proven guilty ? alanjh595 wrote: Isn't he innocent until proven guilty ? One would hope so, but Trudeau has tried to make Mark Norman guilty before trial. So Mr. Norman will have a difficult time now. Trudeau? Well, he's guilty as sin in this. These judicial tampering cases against him are piling up faster than the snow in Kelowna today. You can't be surprised Norman's lawyer said that, are you? I'm not surprised either that there seems to be a taint from the Harper government in this case too. If there was a scandal, you can bet, Haper was near it. What was Norman told to do by the Harper government regarding the $668M supply ship leasing plan? The military's former second-in-command stands accused of leaking cabinet secrets to a now-former CBC journalist and an executive at the Quebec shipyard which leased the federal government a temporary supply ship for the navy. In fact, most of the 12 alleged leaks cited by the Crown involve the Davie shipyard in Levis, Que. The leasing deal was hammered out on the eve of the 2015 election by the former Conservative government and grudgingly approved by the Liberals weeks after they took power. Norman's alleged leaks, according to the Crown, were intended to influence the governments of the day toward embracing the Davie lease deal. This week, however, the court heard in more detail about how the RCMP have not interviewed a number of former Conservative ministers and staffers who were involved in this file — including former defence ministers Jason Kenney and Rob Nicholson and those who worked for them. .....What were Norman's marching orders from the former Conservative government related to the $668-million leased supply ship project? It's already a matter of public record that the Harper government went to extraordinary lengths to push the cargo ship lease through the system. In order to make it happen, the Conservatives amended the regulations on sole-source contracts — something that, in all likelihood, waved a red flag for the Liberals who came after them. There is also ample information in the court records, filed as part of the case, to suggest that the Harper government deliberately bypassed the federal public works bureaucracy, the Department of National Defence and even Norman's own direct commander, former chief of the defence staff Tom Lawson. After all these years, more dirt is coming out about the Harper's corrupt and scandalous reign. Are we surprised?.......Not at all!! Privy Council Office analyst Melissa Burke told the RCMP — in a witness transcript included in documents released by the court late last year, which have not been entered in evidence nor tested in court — that the Prime Minister's Office under Harper "very much wanted this to go through." She cited a briefing note that was signed by Norman only — and not by his boss. "What that says to me is, the navy was working directly with PMO to try and make this happen," Burke said. The Privy Council Office bureaucrat in charge of the search for government records testified this week they can't find some emails, texts and messages at National Defence — notably those of Conservative political staffers and former ministers. I know isn't it brutal? We're still stepping on the turds he laid during his time in office. floppi wrote: I know isn't it brutal? We're still stepping on the turds he laid during his time in office. or the actual story - the current turds in office and their sycophants have no moral integrity or intestinal fortitude, and so have to blame others for their stupidity. There goes 4% of the national vote, Justin. Trudeau's groupies on here might want to see what their disinformation campaign is costing them. But I think they're too stunned (stupid) to realize that they are simply making things worse, much worse, as they continue to defame Jody. As you can see from the link I posted, harper turds are still clinging on and refuse to be flushed. all we are seeing is the desperation level getting cranked up by the hour as the trained seals realize no matter how hard they clap, they can't save this sinking Liberal ship. Butts and Butthead have a court date. 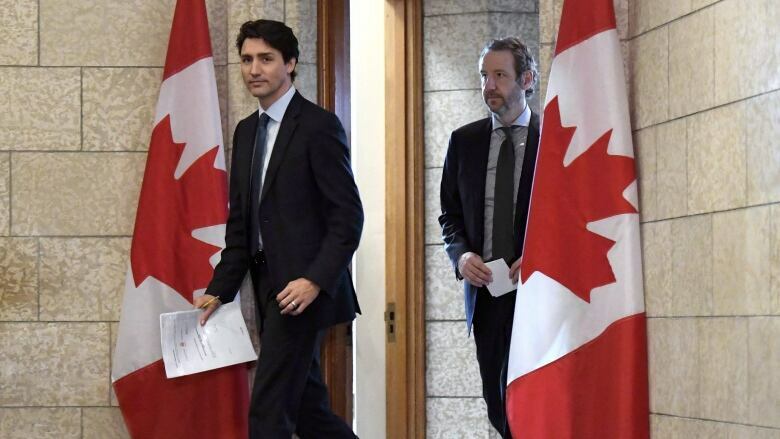 ​Subpoenas have been issued to Prime Minister Justin Trudeau and his former and current top officials — including ex-principal secretary Gerald Butts — for any notes, emails or texts they may have related to the criminal case against Vice-Admiral Mark Norman. The notes are being sought by the legal team defending the former vice chief of the defence staff against a single charge of breach of trust. Norman is accused of leaking cabinet secrets in relation to a shipbuilding deal. The subpoenas were issued earlier this month as Toronto lawyer Marie Henein was preparing a motion to dismiss the case on the basis of alleged political interference. The court order for notes includes both the prime minister and Butts, and also Trudeau's Chief of Staff Katie Telford, Clerk of the Privy Council Michael Wernick and Zita Astravas, chief of staff to Defence Minister Harjit Sajjan.